Mcor IRIS 3D Printer Review 2019 - Is This 3D Printer Worth The Money? Here at 3D Beginners, we cover virtually any printer under the sun, and today we take a look at the rather remarkable Mcor IRIS, unique in that it steps away from traditional 3D printing techniques in favor of bringing a full-color spectrum to printing. How does it stack up in terms of quality against additive printers? Let’s find out as we wade through the tantalizing marketing spiel to determine precisely how this ostensibly revolutionary printer stacks up. 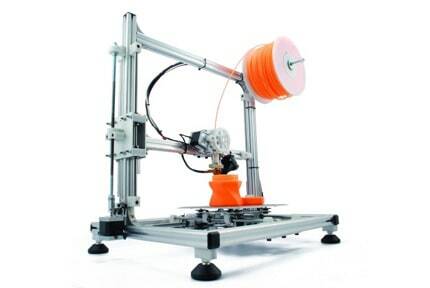 When talking about 3D printers, we are tacitly referring to additive manufacturing techniques such as FDM, or if not, to other technology such as SLA. 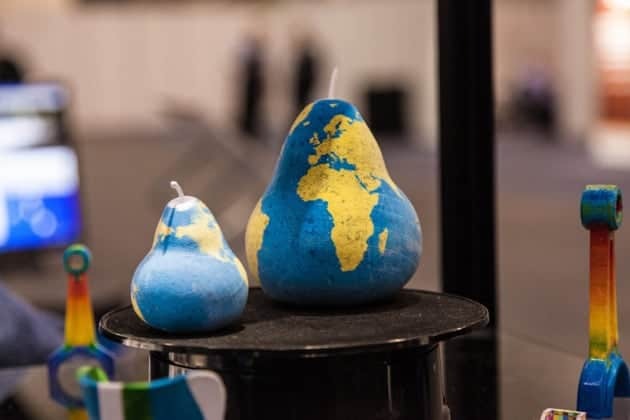 With the Mcor IRIS, the whole idea of a 3D printer as a unit designed to melt and mold plastic material, powder, or resin into a 3D model is thrown on its head. The IRIS uses your run of the mill white office paper, the very stuff used in traditional inkjet printers. That’s right, the modern descendent of the world changing papyrus that the Ancient Egyptians so expertly invented thousands of years ago. How does it work? 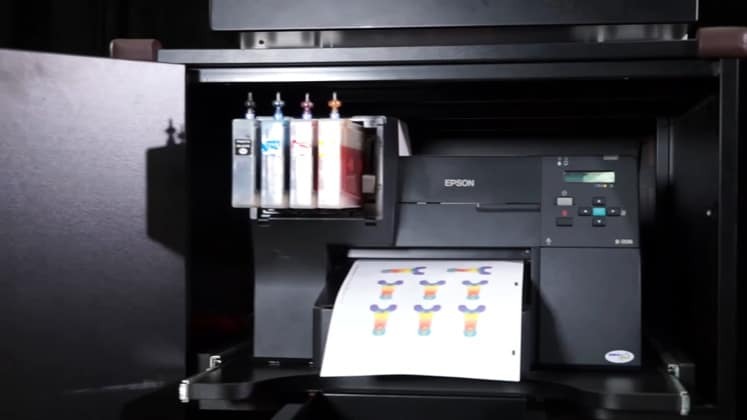 A stack of paper is fed into a traditional Epson printer located in the shelf unit below the IRIS one sheet at a time. The printer prints ‘’slices’’ similar to an additive counterpart but as a color outline on the borders of the soon to be model. 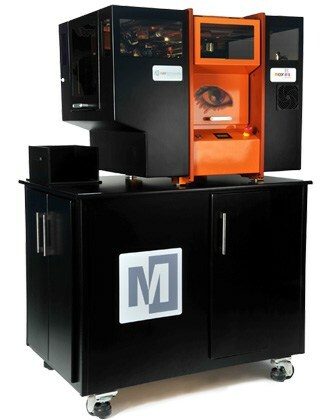 The stack then goes through a deposition lamination process whereby each sheet is fed into the IRIS, and a multi-function head cuts a 2D profile. 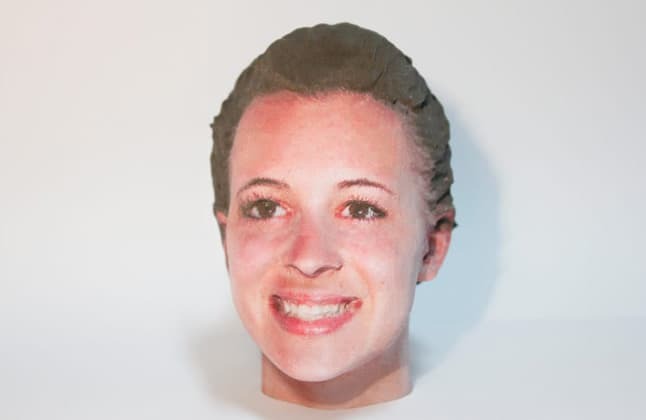 From here, a nozzle on the head selectively applies a water-based adhesive that ensures the layers stick together to form the 3D model as they stack up and are pressed together by way of a heat plate to aid adhesion. The IRIS then applies a finish, or coating, that can differ based on functional needs from hardened outer layers to glossier, lacquer-like veneers. The model exits the printer as a stack of paper. 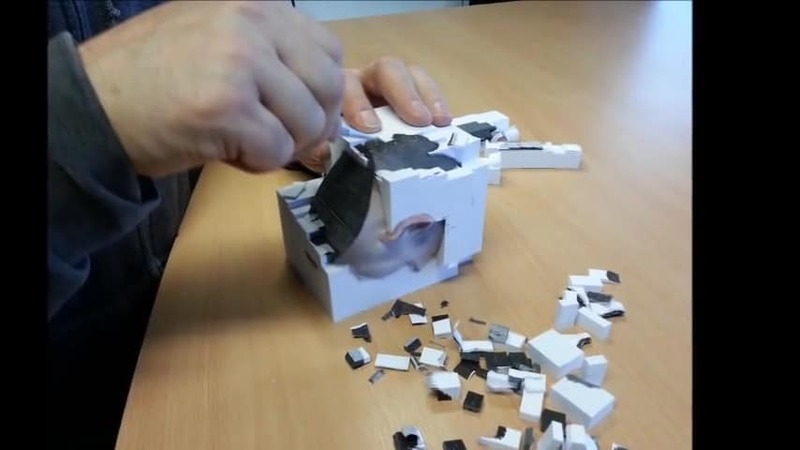 The waste, excess paper is easily removed in blocks to reveal the model beneath. The use of paper as the raw material behind the prints also means that the IRIS can print in an array and complexity of colors unheard of in 3D printing circles. By color, we mean true color as in over 1 million different hues pulled straight from the International color consortium with rich, vibrant, photo-realistic, and high definition subtleties. On the models themselves, colors are also possible in 360 degrees. The benefits don’t stop there though as the functional cost of printing is drastically lowered compared to plastic materials. A stack of paper is markedly cheaper than multiple spools of PLA for example. Furthermore, the IRIS is pretty much as environmentally friendly as 3D printers can get with fully recyclable paper waste and the ability to source paper from responsible distributors. As for specific features and specifications, we need to start by stressing that the Mcor IRIS is through and through an industrial grade printer acting as a counterpart to the Irish company’s smaller, office-friendly, prosumer version called the ARKE. 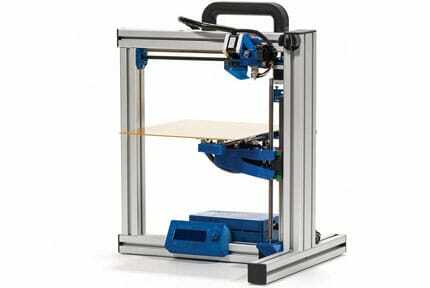 The IRIS is no small machine measuring in at 950 mm x 700 mm x 800 mm with a total weight of 160 kg. 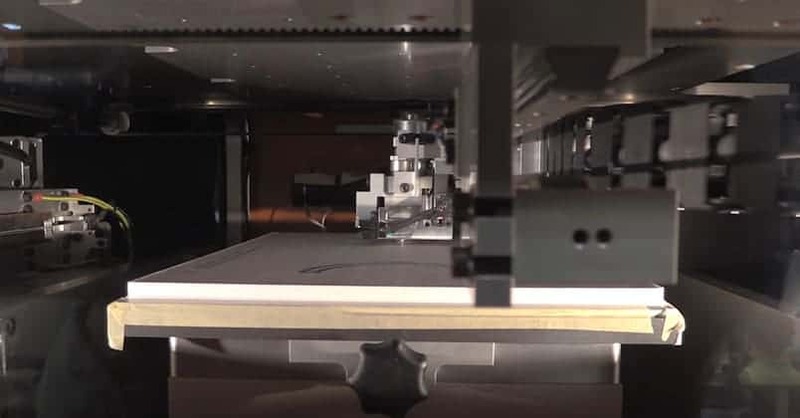 The build volume is 256 mm x 169 mm x 150 mm with a layer resolution of 100 microns (the thickness of a piece of paper) with a color resolution of 5760 x 1440 x 508 dpi. The Mcor IRIS uses any standard variant of A4 office paper alongside Mcor designed ink cartridges that fit into the inkjet part of the unit. The ink is designed to seep through the whole thickness of the sheet creating the colored outer layer of the finished prints. Connectivity is assured via Ethernet. Software-wise, the IRIS uses a tandem of SliceIT and ColourIT, used for slicing models before printing and applying color respectively. The software is compatible with STL, WRL, OBJ, 3DS, FBX, DAE and PLY file types. When eyeing up a finished print from the Mcor IRIS, we had to keep reminding ourselves that it was made of paper. The results are surprisingly solid especially when used in conjunction with a robust coating option, and the colors will charm even the most versed 3D printer. They aren’t perfect by any stretch of the imagination it must be said. Although the color spectrum is baffling, the quality of the finished products is defined by an evident lack of detail in terms of texture on the models. In most cases, there is a distinct absence of features beyond general shapes and surfaces are flat, dull even. 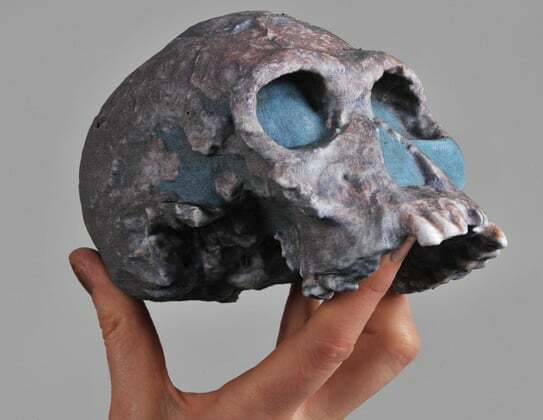 The quality of the color rendering leaves something to be desired too with a slightly blurred, drab quality that is at odds with the vibrancy of plastic 3D printing, albeit in the few colors additive printing can produce. Layers are incredibly apparent throughout most models which can significantly affect the appearance of the coloring. 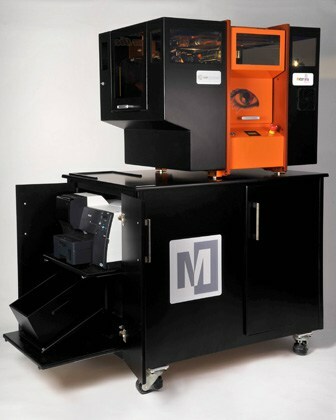 For the reasons above, the Mcor IRIS doesn’t stack up to the functional results of standard 3D printers where prints can be used as pre-production stress test models or serious prototyping. In our estimation, the Mcor IRIS is far better suited to artistic pursuits for sculptures, display models, ornaments and as parts of a larger art piece. Alternatively, architectural firms will find the IRIS a suitable device to print 3D mock-ups of potential buildings, but as above the lack of detail means these won’t be suited to life-like renditions. The paper is quite simply not robust enough to weather the demands of a mechanical setting, pre-build testing, or as a pre-molding prototype. Mcor has seized production of the IRIS in favor of the newer ARKE and ARKEPRO, as such technical support for the IRIS is limited. The company’s website offers very little in terms of articles or tutorials and finding any support help is an arduous task in itself. Most resellers offer a standard one-year warranty, a reasonably standard offering for these types of units. The Mcor IRIS has a lot going for it especially when it comes to the full-color features and the low cost of production, but the near $50,000 price tag is a hard pill to swallow. We weren’t disappointed with the results (the array of colors and the way they can shift effortlessly from one side of a model to the other is astounding), but instead, we felt they were at odds with the claims made by Mcor. Beyond artistic and educational purposes, the IRIS doesn’t provide enough detail and solidity for industrial-grade uses making it a rather expensive gimmick for any serious R&D department or design studio. The Mcor IRIS is a feat of modern engineering that is both eco-friendly and surprising in the colors it can produce. The quality of the prints does let it down though as the results are only viable for a few select uses limiting the IRIS’ potential quite significantly.